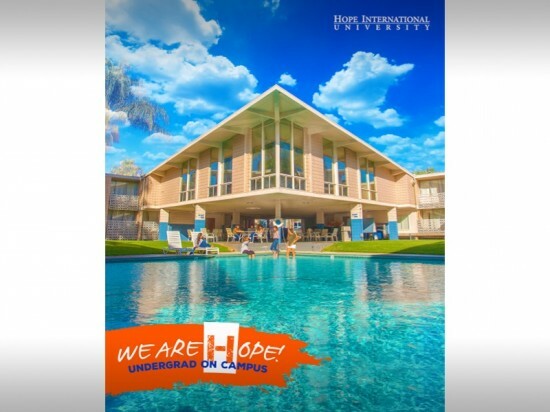 The Hope International University Office of Institutional Advancement received notice that HIU is a 2016 Winner of another CASE District VII Award of Excellence. CASE, the Council for the Advancement and Support of Education, recognized HIU’s student recruitment publication, the Undergraduate On Campus Search Brochure, as one of the best in its category. HIU’s submission competed among more than 470 entries from notable contenders. CASE District VII includes such prominent institutions as Cal Tech, UCLA, USC, ASU, and Stanford. Recipients will be recognized at the CASE District VII Biennial Conference in Newport Beach during the first week in March of 2017. 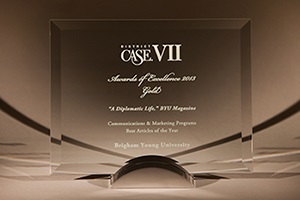 The annual CASE District VII Awards of Excellence showcases best practices in alumni relations, fundraising, public relations, advancement services, special events, and communications. Experts in various disciplines from throughout each district judge entries in individual categories and select Gold, Silver, and Bronze winners for each category. CASE is a professional association serving 3,400 educational institutions and the advancement professionals who promote those institutions through their work in alumni relations, communications, development, marketing and related fields. For details and a complete list of winners, click here.